Lori Thaman has served as a Partner of Warson Capital Partners since co-founding the Company in 1994. Drawing on her 20-plus years of experience in serving the capital needs of emerging growth companies, Lori works with the firm’s clients and manages Warson’s team in developing business plans, corporate profiles, investor presentations, financial projections, industry research, and due diligence preparation. Lori has served as President of Frontenac Builders, a custom home builder specializing in the development and construction of luxury homes in upscale neighborhoods of St. Louis County, since co-founding that company in 2002. She is responsible for the company’s overall financial and operational activities, including sales and marketing, administration and operations, contracts, construction budgets and timelines, and participates in project design and specification. 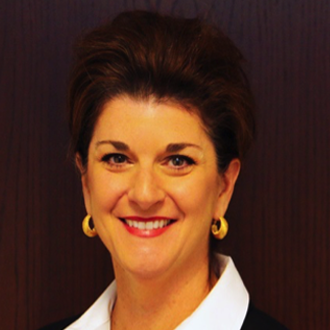 While serving as Partner of Warson Capital Partners and President of Frontenac Builders, Lori served as Executive Director of the Fair St. Louis Foundation from September 2013 to September 2014, leading a team of approximately 2,000 employees, subcontractors, vendors, volunteers, and national and local government agencies in successfully planning, coordinating, and managing the Fair’s historic move to Forest Park from its 34-year location under the St. Louis Arch. Lori oversaw all aspects of Fair Saint Louis including sponsorship and fund raising , budgeting, operations, programming, and staffing, as well as representing the Fair in the media. Lori earned a Bachelor of Arts in Mass Communications from Southeast Missouri State University.